Black Mountain College (1933-1957) developed an unprecedented prominent genealogy of artists, scientists, and intellectuals in the neo-avant-garde of the 20th century. As an educational art institution, it established performative practices of interdisciplinary learning and researching, which included at least two crucial factors: collaboration and experimentation. This unique complicity of an educational turn and the emergence of an avant-garde is of crucial interest in today’s debates on issues of education and pedagogy in art, science, and academia under precarious economic circumstances. Who? Read the speakers’ abstracts here. 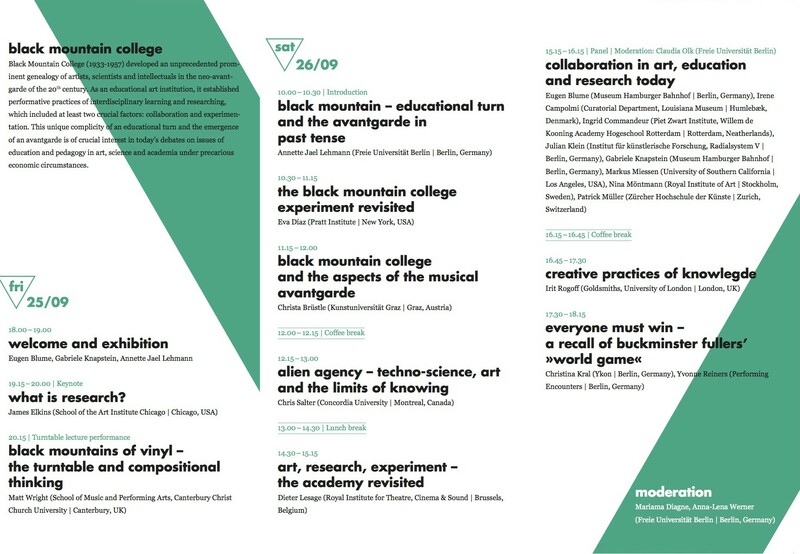 James Elkins (School of the Art Institute Chicago | Chicago, USA): What is Research?